Pretty good memory for around $85. Got XMP Profile running on it, running smoothly so far. Looks nice and the low profile design is another bonus. Looks AMAZING in my case. Haven't overclocked yet. Fast, a snap (literally) to install, and a great deal at the price. 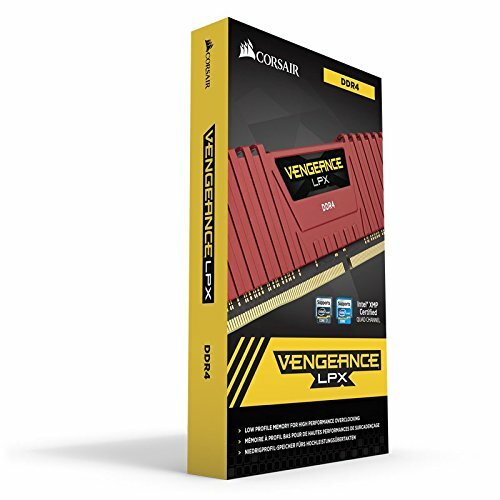 You can't go wrong with Corsair RAM. What can I say? Ram is still ram. Nice colors and performs well. 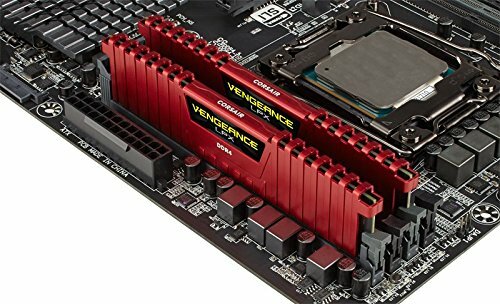 Its RAM and I wanted 16 gigs for gaming, Photoshop and Chrome. They look really good, especially on motherboards with red accents. No issues with heatsink size. Got these even though my motherboard's chipset (B150) only supports 2133 as I couldn't find the 2133 version in stock and the price difference was negligible. It's RAM you cant go wrong, unless you get that Avexir Raiden RAM, but to each their own.